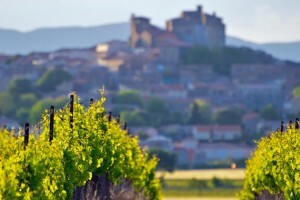 Aveyron is a portion of France that is an historical, cultural, and adventure lover’s paradise. Colored with vast mountains, prestigious lakes and valleys, and hills, Aveyron travel is not complete without venturing into this region of wonder. Whether you desire a day of hiking, biking, or simply just a leisurely day picnicking, Aveyron is the ideal location for the outdoor enthusiast. If you desire a more cultural trip, one must take a trip to the several villages that encompass the area, including Templar and Hospitallier , as well as the Gallo-Roman centre at Graufesenque just outside Millau. Also an element of the Averon heritage is the numerous castles that are associated with Aveyron. A trip to Aveyron would not be complete without visiting these several ancient ruins, including the castle of Najac. This castle is one of 23 castles that form the Route des Seigneurs du Rouergue. These 23 castles are an essential element to Aveyron travel. The castle of Najac was also part of the site English revolution, and an integral source of control to whomever occupied it. More than 300 bastides were constructed in the south-west are of France during the Middle Age time period. In the Aveyron, there are several, in addition to Najac. At Sauveterre de Rouergue, the town is surrounded with the historical remnants of ancient moat and centres on an area of preserved timber houses. Included amongst these are Villeneuve and Villefranche, which are on the route to Santiago de Compostela in Spain. The GR65 long-distance walk is a very popular selection for with hikers who want to traverse the Aveyron. An interesting identity of pilgrimage along this route is the scallop shell, which is the reason why you may find them is adhering to walls at various locations along the trail. Additionally, in terms of culture, everyone knows France possesses a passion for dining, and food. Aveyron is no exception. Let your taste buds take in and absorb the globally famous Roquefort cheese, which has been produced in Aveyron since 1925. Accent this cheese tasting with some of the majestic, red Marcillac wine.